Freddy's back and he's up to something in the kitchen! He's cooking brownies and making a souffl_. 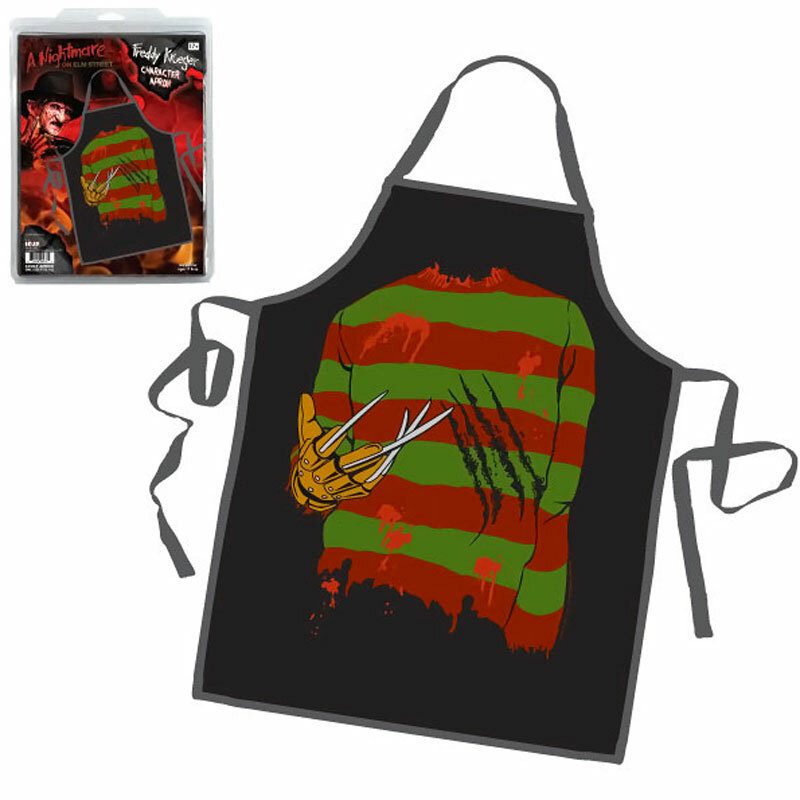 This Freddy Krueger, Nightmare on Elm Street licensed Apron will scare the living daylight out of everyone but it will also keep your dishes on their best behavior. That cake will rise perfectly, that fish filet will stay tender, and the dishes may even clean themselves. When you're Freddy, things can get a lil' crazy. Feature: - 31.5" long x 26" wide, straps are 35" long. Adult one size fits all, 100% cotton, machine washable.